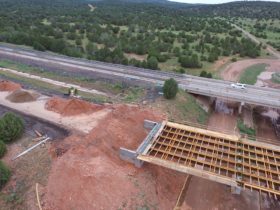 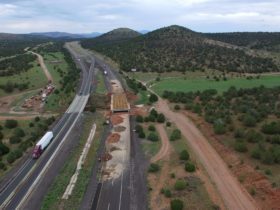 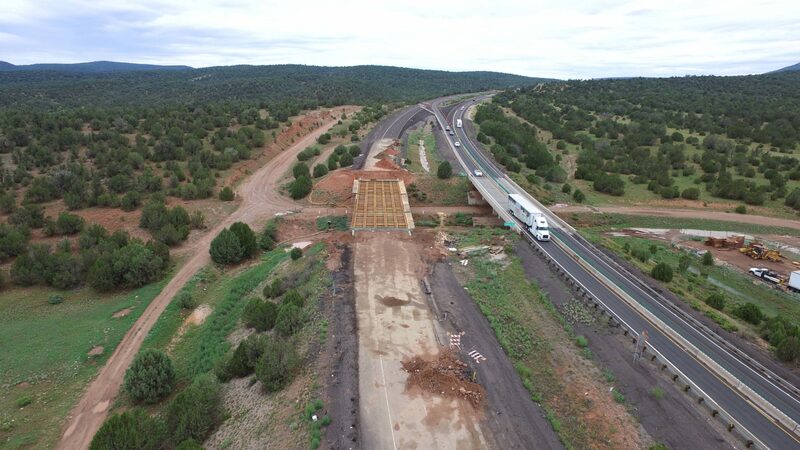 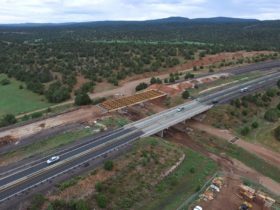 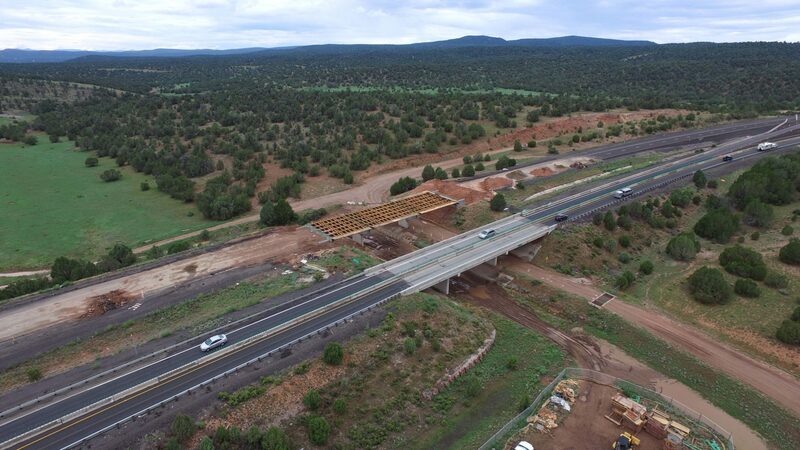 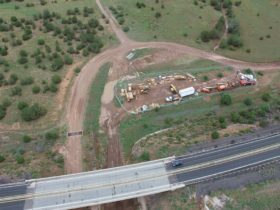 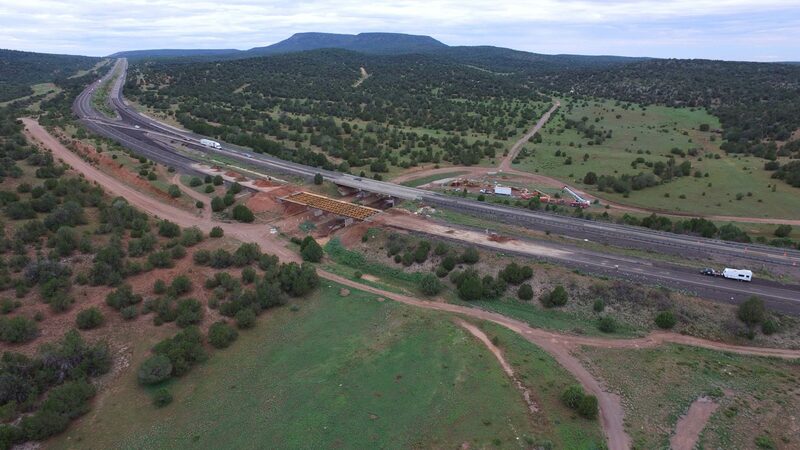 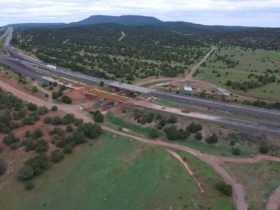 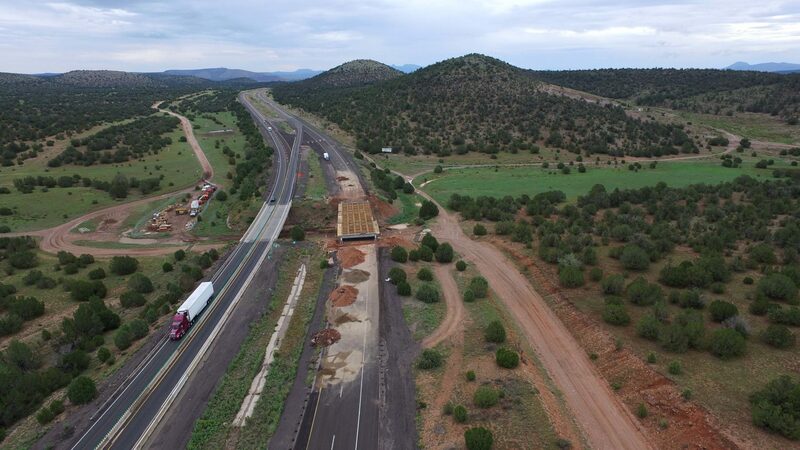 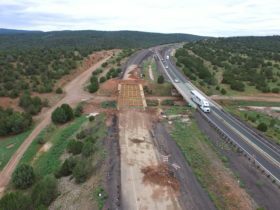 Located on Interstate 40, the project consists of eastbound and westbound bridge deck, girder, concrete barrier, partial pier and approach slab replacement. 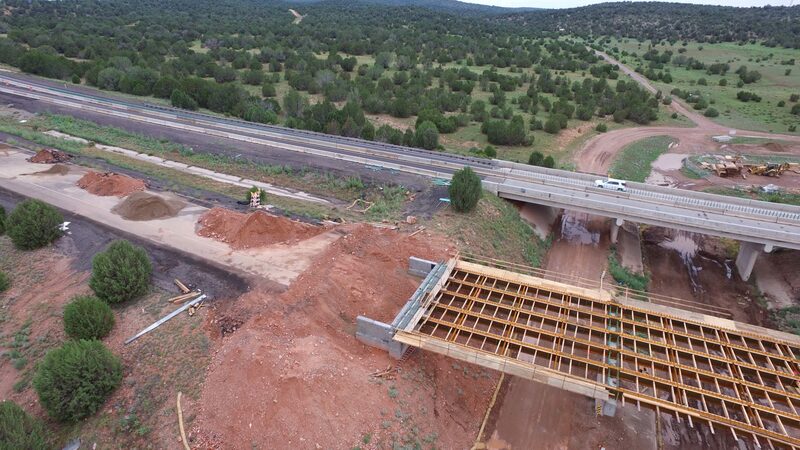 Work on the 3-span, 160’ steel girder bridges is being performed while maintaining one lane of traffic in each direction of I-40. 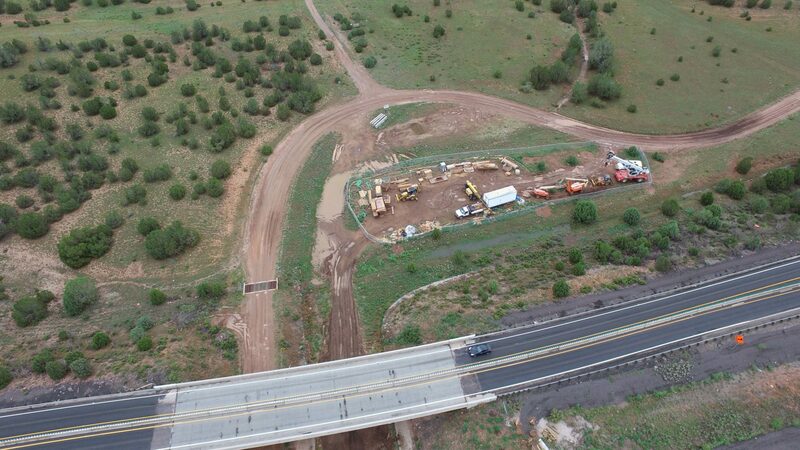 Due to the higher elevation the project is built in two construction seasons with a winter shutdown period.